In the distant future, the home planet is overpopulated and riots loom. The only solution seems to be to advance into space and to settle planets. Several technically advanced nations emphatically try to put this into practice. 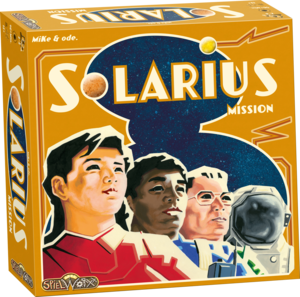 Under the name of Solarius Mission they begin a project to explore other planets, build space stations and conduct interplanetary trade. Who is able to use the technical means available and to fulfill the vital Solarius Mission ?